This entry was posted in Meeting Agendas on January 6, 2014 by Chris Boone. Meeting called to order 6:31 pm. Board Members in Attendance: Leo, Miller, Glenka, Kolbeck. Reading and approval of the minutes from November meeting. 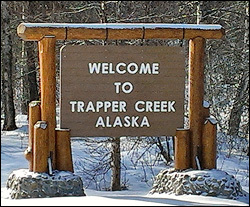 TCCSA CIP Report: Modular building is in place and there are no expenditures anticipated over the winter. Next report will be submitted as per contract with Borough quarterly in March 2014. RSA 30 Report: December Borough meeting was canceled. The roads are being maintained, and in good shape. •	Artist in School Program – No changes. Of the $2000, $0 Spent, $2000 Remaining. •	TCCC Costs – Current expenditure $58. Of the $1000, $326.36 Spent, $673.64 Remaining. o	Motion by Leo to spend $125 for website domain. Seconded by Kolbeck. Passed unanimously. •	Regarding subsistence mapping interviews for the Susitna-Watana Hydro project, interviews will be conducted reviewing a 10year look back. 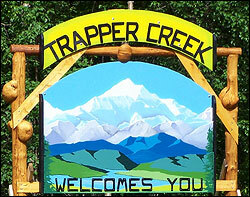 o	Motion by Leo to sign a revised resolution for the subsistence mapping project to happen in Trapper Creek. Seconded by Miller. Passed unanimously. •	FY2012 Revenue Sharing amended to extend period of performance to 12/31/2014. •	Wes Keller getting ready to go to Capital and wants community input. Date of next meeting scheduled for January 16, 2014 at 6:30 pm. This entry was posted in Meeting Minutes on January 6, 2014 by Chris Boone.